Denise Green is an Assistant Professor in the Department of Fiber Science and Apparel Design at Cornell University and also the Director of the Cornell Costume and Textile Collection. A dynamic force at Gwen and Lindsey’s alma mater, Professor Green uses ethnography, video production, archival methods, and curatorial practice to explore the production of fashion, textile, and visual design. With their serious soft spot for textiles, The Laundress ladies were beyond excited when Denise agreed to chat about her perspective on textile design, the history of fashion – from high-tech to pre-tech, her on-campus veggie and herb garden she cultivates to create natural textile dyes, and the impact fashion has had on her personally. It’s an opportunity to document and share history and culture through garments worn at different times and in diverse places. 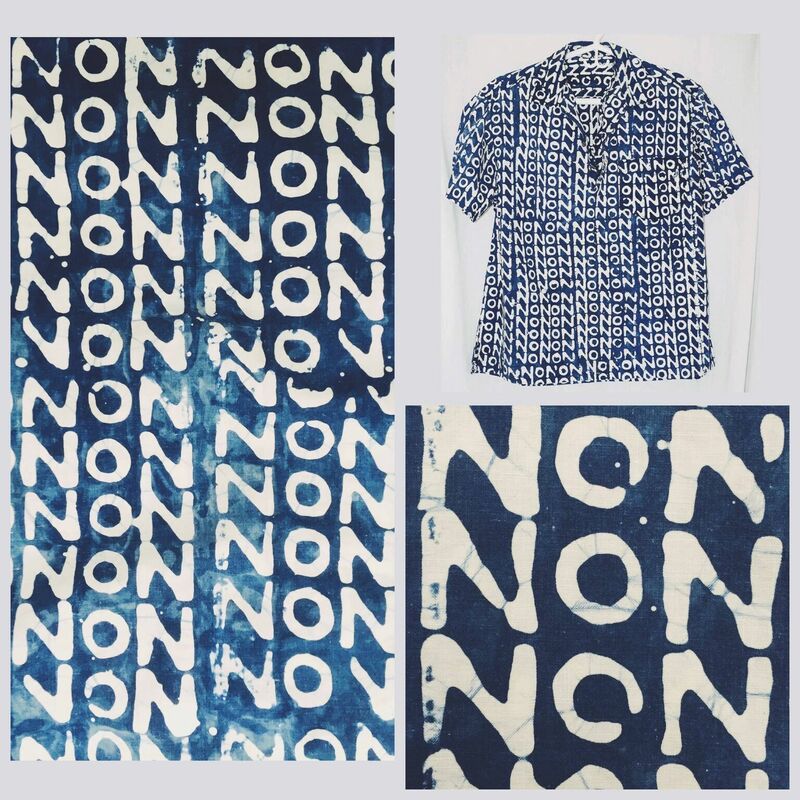 A shirt from Guinea that dates to early 1958, with a wax-resist repeat of the handwritten word, “NON” and dyed with indigo. The shirt was a political statement, made to be worn in the weeks leading up to Sept. 28, 1958, the date the French held a plebiscite, known as the Guinean Constitutional Referendum, which allowed Guineans in the colony to vote whether or not to adopt the new French constitution. A vote of yes meant that Guinea would remain a colony, while a vote of “no” (or “non”) meant independence. Over 95% voted “non” and on Oct. 2, 1958, Guinea gained independence. The intersection of politics and dress is particularly fascinating to me, and the way in which people wear politics on their bodies. A trip to India in January 2016. I was fortunate enough to bring 13 Cornell students to witness the apparel supply chain first hand – from cotton farms all the way through to apparel cut-and-sew factories. For me, the most interesting part was visiting Pochampally Handloom Park. 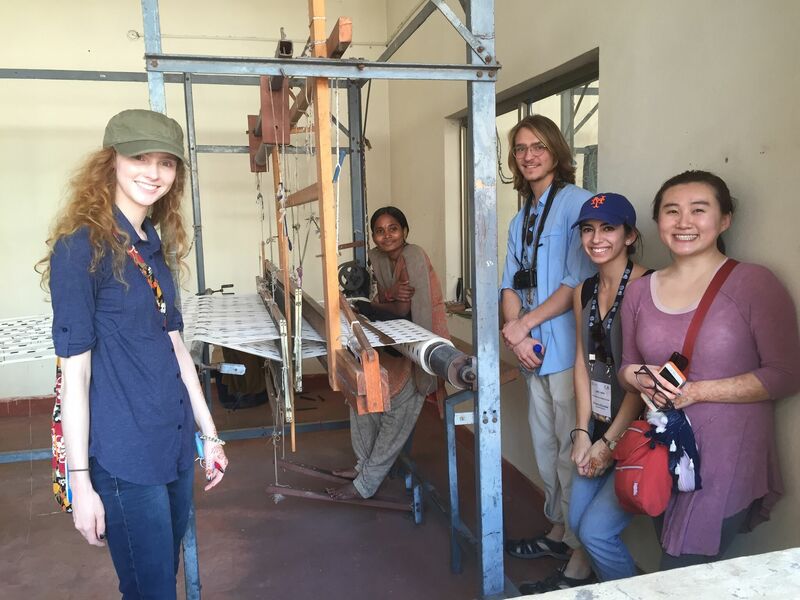 We saw the production of ikat fabrics (textiles wherein the warp yarns are dyed before being woven). Watching the dye process, the careful arrangement of yarns, and finally the warping of looms and the way women wove on these large floor looms that used no electricity (just a foot pedal to control the harnesses, the right hand controlling the fly shuttle, and the other hand controlling the beater) was absolutely incredible. Today, “fake” ikats are all the rage in fashion—we see silk screened and digitally printed imitations of this traditional technique everywhere. It was amazing to see the real thing in action. A graduate course called Anthropology of the Fashioned Body, where we examine how different cultures and individual identities are produced and represented through dress and fashion. This course culminates in a collaboratively-curated exhibition using items in the Cornell Costume & Textile Collection. The gendered associations we have with the color of children’s clothing. It is fascinating to me that the dichotomy of pink=girls and blue=boys feels so firmly established today when this was not always the case. Less than a century ago, blue was considered an appropriate color for young girls (being a more “delicate and dainty” color), whereas pink was advocated for young boys as a more masculine color. 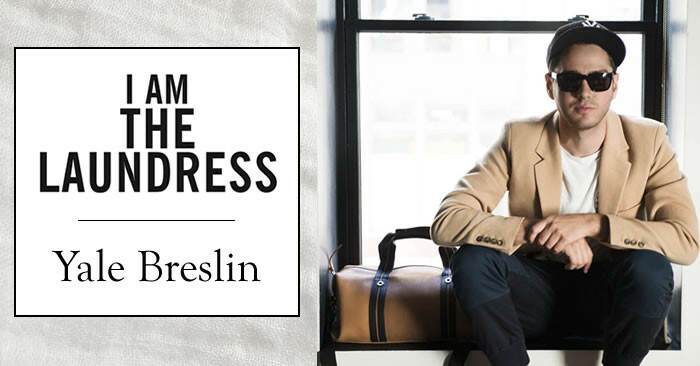 Fashion is so interesting because it both reflects changing social perceptions, but also contributes to the production of cultural ideas about color, style, and silhouette. While it may feel like the pink/blue dichotomy is firmly rooted at the moment, change is always immanent (and what makes this work so exciting!). Wartime always has a dramatic impact on fashion – whether in support of the war effort or as a form of resistance and protest. Take for example WWII: we can point to regulations like L-85 (fabric rationing) that affected styles and certainly shortened hemlines; however, we also can see how shifting perceptions of women during this time (e.g., “Rosie the Riveter”) were made manifest through aesthetics: in the mid-1940s a much stronger shoulder silhouette that included shoulder pads became fashionable, often accentuated by a narrow, emphasized natural waistline. 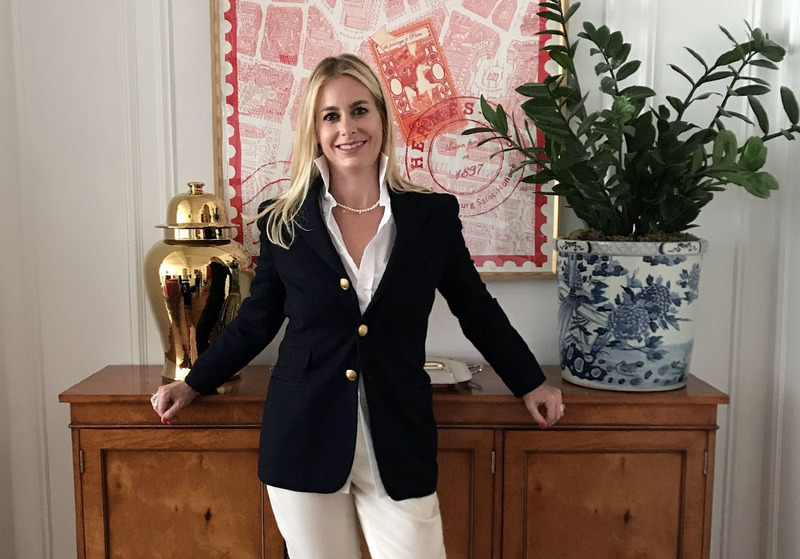 We don’t see this powerful silhouette come back into fashion again until the 1980s, another period of time where women are a growing presence in the workforce and attempting to break through the glass ceiling. The mid-1920s. The tubular silhouette, bobbed hair, dropped waist, beautiful silk fabrics, the eyeliner, rouge, and lipstick, not to mention the exquisite decorative detailing—whether it be embroidery, beadwork, or print design—was such an elegant and dramatic period that was playful and fun at the same time. The gown that Eleanor Roosevelt wore to the second inaugural ball in 1937. Roosevelt was a good friend of our college cofounders, Martha Van Rensselaer and Flora Rose and supported the work they were doing here at Cornell in many ways—including the donation of this dress. 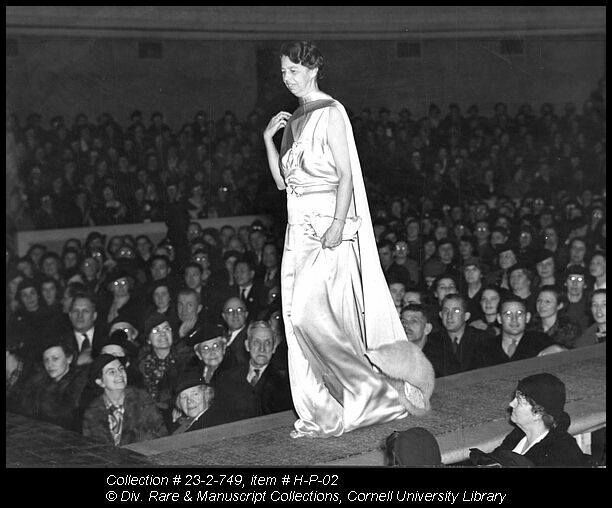 She even wore it again during a fashion show held on the Cornell campus in 1937! As silly as it may sound, my junior prom dress is something I’ve kept all of these years. It was also the prom dress worn by my mother to her junior prom in 1973, and in fact was crowned Prom Queen (I was not bestowed the same title)! The dress is a Gunne Sax, which was a San Francisco based label under the creative direction of Jessica McClintock. I love the dress because it’s a quintessential peasant-girl 1970s empire-waist maxi dress, complete with lace apron and puffed sleeves that taper into zipped cuffs made of a heavy brocade. I care for it by…. Storing it flat in an acid-free box – perhaps I will have a young relative someday who will need a prom dress! Delicate Wash. When you have a closet full of vintage clothing, hand-washing with the delicate wash formula is always the best bet! Lately, I have been loving silk dupioni, which takes natural dyes so very well and has such an elegant and luxurious drape. 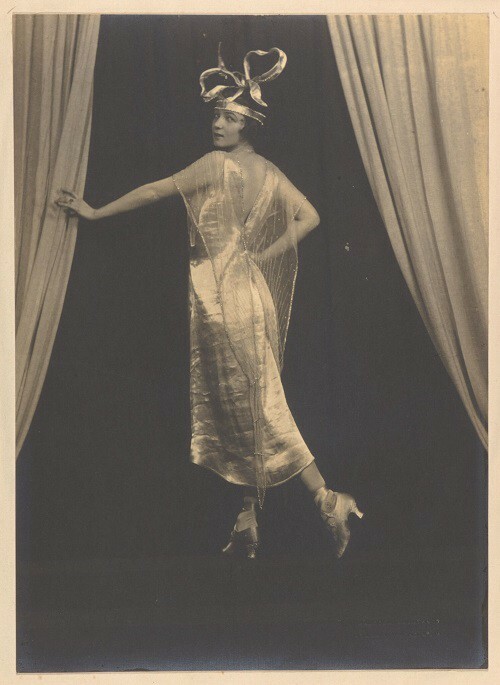 Irene Castle. I admire her temerity—whether it was bobbing her hair or starting her own ready-to-wear line, she was both fearless and fashionable.